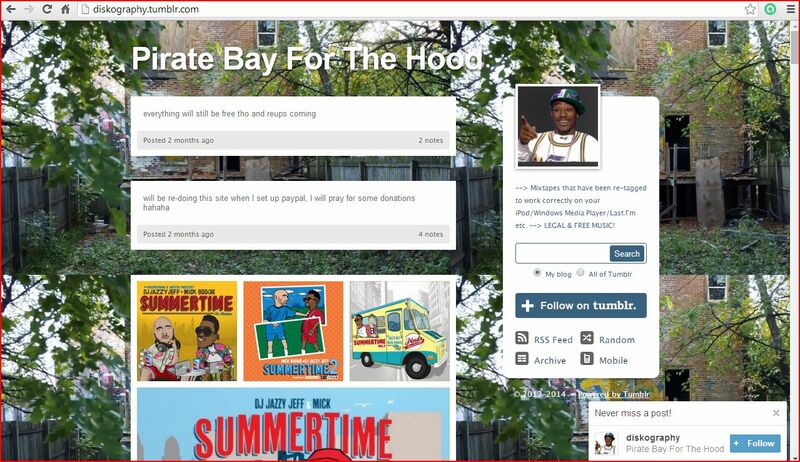 The blog calls itself Pirate Bay for the Hood and has a list of hip hop mixtapes (promotional tapes) for download. Because they are promotional tapes and not retail albums, they are free to download. I don’t listen to all the artists listed on the blog, but I did find some tapes I have not heard before that I liked. Many of these tapes are underground and/or older tapes that can be hard to find. Sites like these are important to the hip hop community because they are a way to distribute content that might not be accessible or promoted in certain areas. This entry was posted in P2 Professional Blog Search on October 15, 2014 by phillipbritton2013.